Since Kilkenny is very popular with tourists, the small town centre can fill up with big groups of people very quickly. 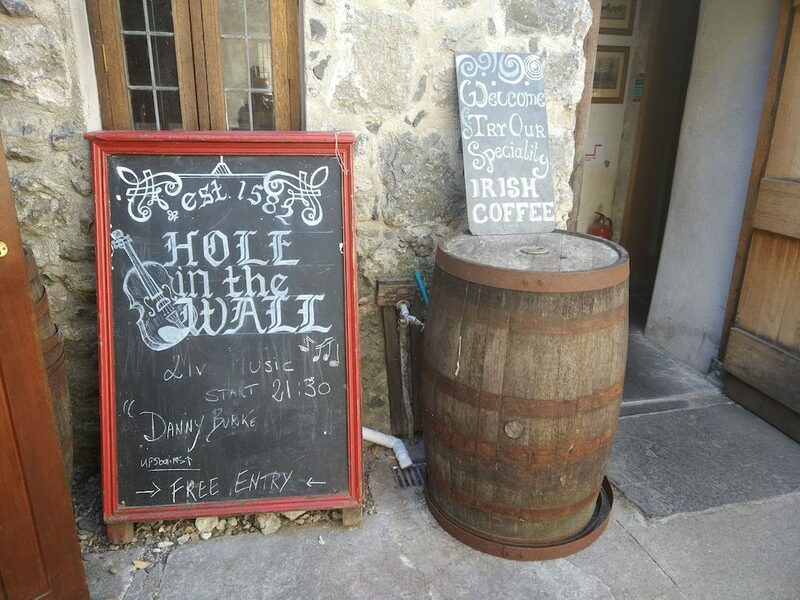 If you’re looking to escape the busy streets to savour the small-town feeling, here are our Top 5 unusual things to do in Kilkenny. For the classic touristy places to see, visit our other blog post about the Must-Sees in Kilkenny. Being nature lovers we opted for a walk around the Castle Park, which is a little over 3km. It’s a lovely walk through what feels like a forest and you’ll be able to see plenty of animals, such as birds, squirrels and dogs, as it’s also a popular spot for locals. At the foot of the gardens lies the castle itself. 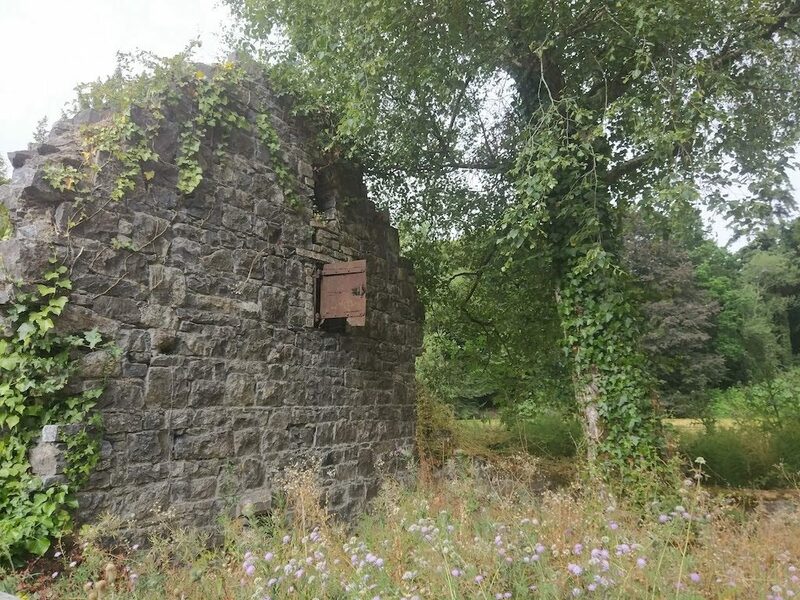 Instead or on top of the Castle Park you can also opt to walk besides the walls of the park along the river Nore. If you keep walking, you’ll end up in the village Inistioge after several of kilometres. A little disappointment before we start, there aren’t any actual cats in this café, black or otherwise. However, it’s still a lovely place for a snack or lunch. It’s a little hidden away, on top of an Elverys sports shop. To get there, you simply pass through the shop onto the top floor, from where you’ll also get a nice rooftop view. For example, from the terrace, you can see Canice’s Tower. 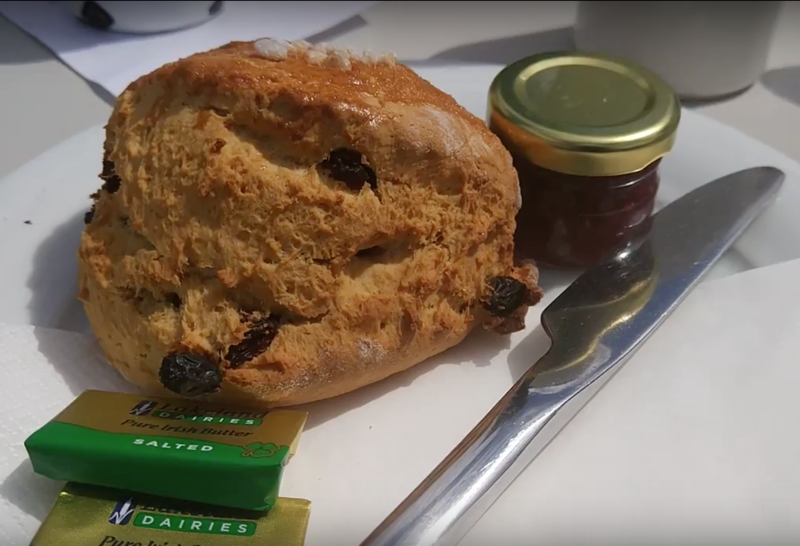 We ordered Irish Barry’s Tea (for Julia of course; don’t worry, Sam got to have his mocha) and the home-made scones which were delicious. That was an excellent Irish snack to give us some extra energy before we continued exploring. 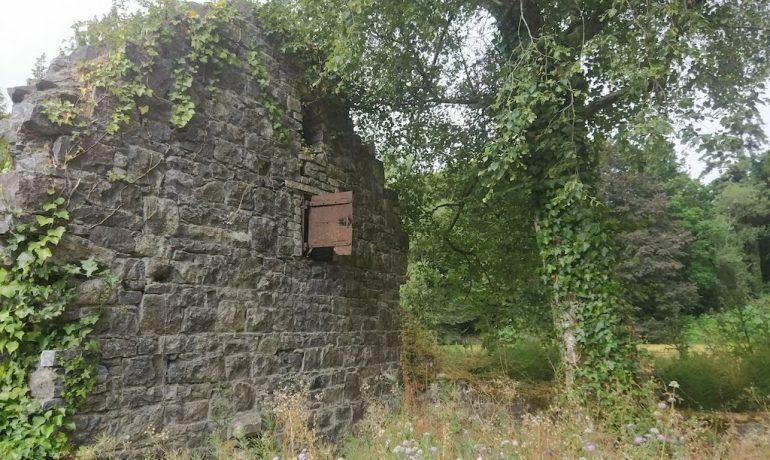 This hidden spot was recommended to me by a colleague who used to live in Kilkenny herself and it definitely was one of our favourite spots in the city during this trip. It’s a little hidden away from the main street, so you’ll have to keep your eyes peeled open for a sign, pointing you through an alley and into a backyard. Built in 1582 it was originally the home of a rich merchant family, before it turned into a tavern. You may be drawn to explore the bar because of its historical value, since it has had famous patrons, such as the Duke of Wellington. But what charmed us about this little bar is that we walked in and felt like we had been invited into someone’s living room. While we originally had planned to sit in the beautiful little garden, we got stuck at the bar after we had ordered. With very few guests during the early afternoon, all patrons just sat at the bar, chatting with the barwoman. We chatted about everything from living abroad to sports (especially the hurling). In-between the barwoman entertained us with stories about Kilkenny and this house in particular. If you’re brave, ask to guess what the little hole in the wall on the left of the bar is. We’ll give you one hint, it’s not the namesake of the bar. That one is an entirely different story. For many people their first association with Kilkenny is beer. It seems like a rather obvious connection, considering it’s where Smithwicks and many smaller breweries have their home. However, coming from abroad, my first thought when I thought about going to Kilkenny was Kilkenny beer. When I ordered it, the kind barwoman at the Hole in the Wall told me that many people come there asking for exactly that beer. The irony is that it’s not well known amongst locals and only after so many tourists requested it, did they choose to stock it. So, don’t be disappointed if you’re unable to find it in pubs. If in doubt about what to order, just as the people at the bar. If you know at least one beer or ale you like, they’ll usually be quick to recommend a similar tasting one. Kilkenny has always had dark periods in its past. Thus, it rose to fame for one of the earliest witch hunts. In 1324, before the witch hunts in continental Europe had started, Dame Alice de Kyteler was accused of being a witch. It is assumed she fled the country, which resulted in her servant Petronella de Meath being put on trial instead for her association with a suspected witch. She was sentenced and, unfortunately, became the first person burned at the stake for supposedly being a witch in Ireland. 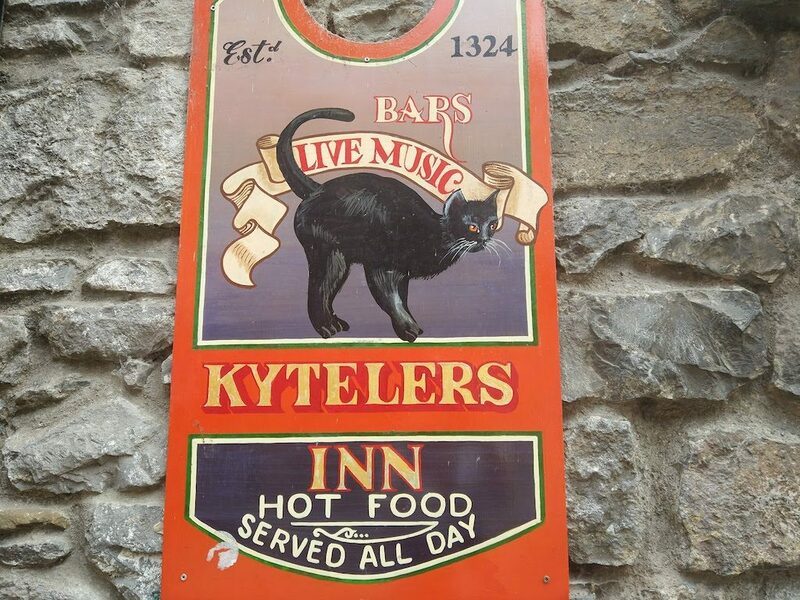 Nowadays, the Kytelers’ house is a pub, popular for its live music. While we didn’t get a chance to go there, we were recommended to sit in the cellar for a spookier atmosphere as the main rooms on the ground floor are what would be most expected of a pub. Don’t forget to also read our blog about more traditional Must-Sees in Kilkenny and other day trips from Dublin.